I love to travel, but my scope of the world was heavily based on Europe as this was my go-to continent to explore. When the opportunity came up to volunteer with GVI, I chose their elephant program in northern Thailand to experience something new. 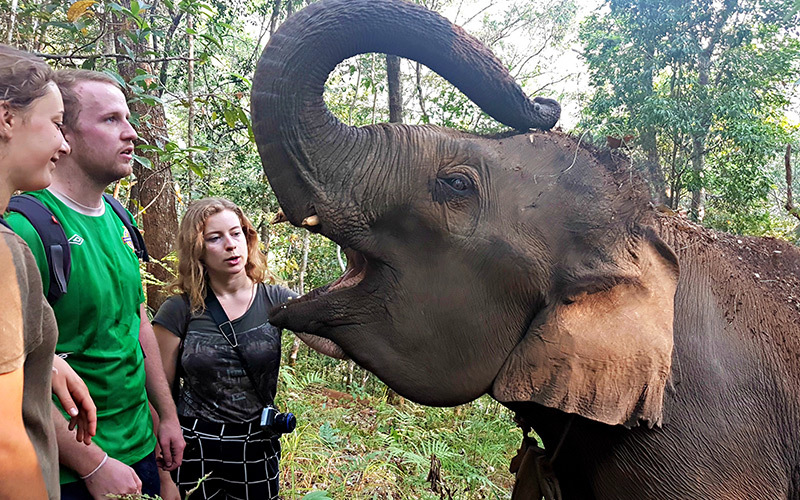 I am also an animal lover and an advocate for animal rights, so knowing that this program rescues elephants from tourist camps and rehabilitates them back into the jungle, made it an easy choice. 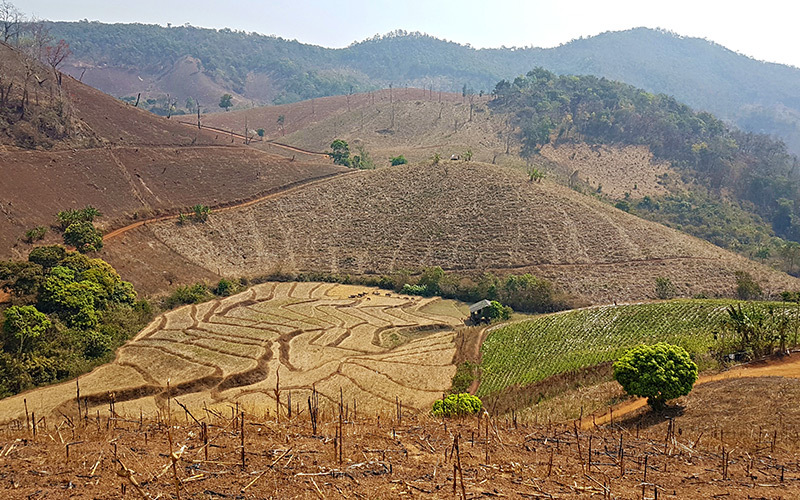 Participating in this program also provided me with the opportunity to experience rural Thailand; Basecamp is situated in a remote mountain village, Huay Pakoot, which is about five hours outside of Chiang Mai. It offered a level of authenticity you wouldn’t get from staying in the big cities. The staff at GVI were very helpful right from the beginning. They provided assistance with filling out the necessary paperwork and quickly answered any questions that I had. When my flight was cancelled due to a winter storm in Toronto, they even rearranged my pick-up time from the airport in Chiang Mai to accommodate. I was greeted by a songthaew full of GVI staff, interns and volunteers, and quickly fell right into the group. 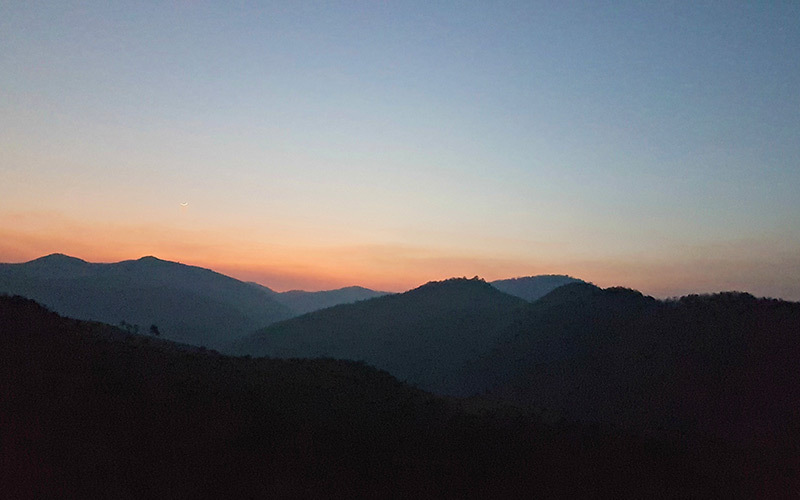 Upon arriving in Huay Pakoot I was escorted by a staff member to my home-stay and was introduced to my home-stay family. We then returned to Basecamp and were given a village tour, which really highlighted just how incorporated into the mountainside this 400-year-old village is! 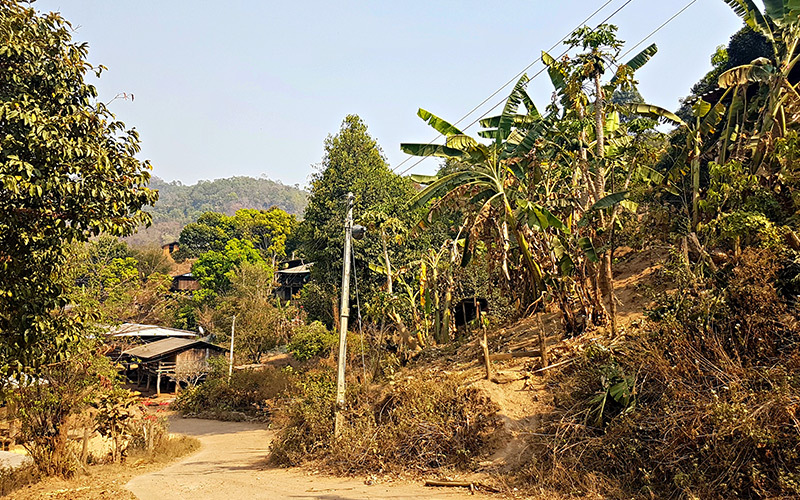 At the very top of Huay Pakoot is the primary school and a Buddhist temple, then as you make your way down you the winding, red dirt roads, you come across the various houses and the few shops scattered throughout (appropriated named “Top Shop”, “Middle Shop” and “Bottom Shop”). 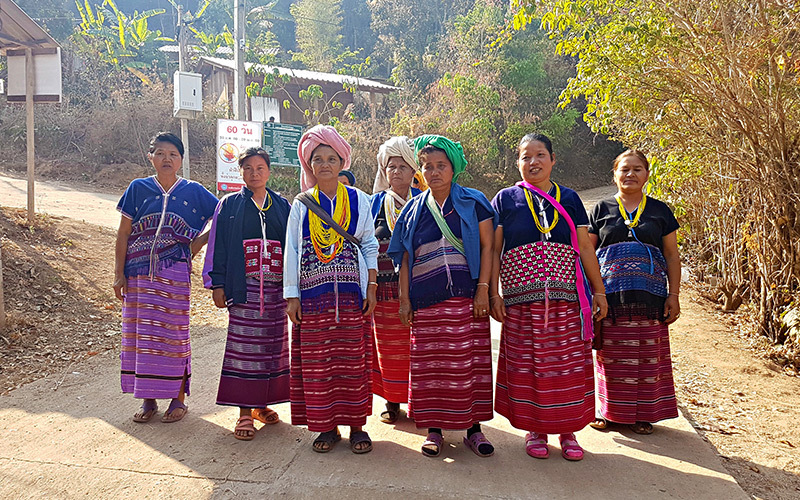 The people of Huay Pakoot belong to the Karen tribe and follow a chiefdom, and Old Chief’s house, which is situated at a fork in the road near Basecamp, quickly became the main navigational landmark for me. It’s easy to get lost but after a day or two of walking, you quickly memorize your route. Our daily routine in the program made it easy to acclimatize to village life. From Monday to Thursday we ate breakfast at Basecamp, then around 7:30am each day we set off on elephant hikes. GVI Thailand Chiang Mai currently sponsors three small herds, made up of a total of nine elephants. These animals range in age from four years to sixty-five, and have all worked in the tourist camps. 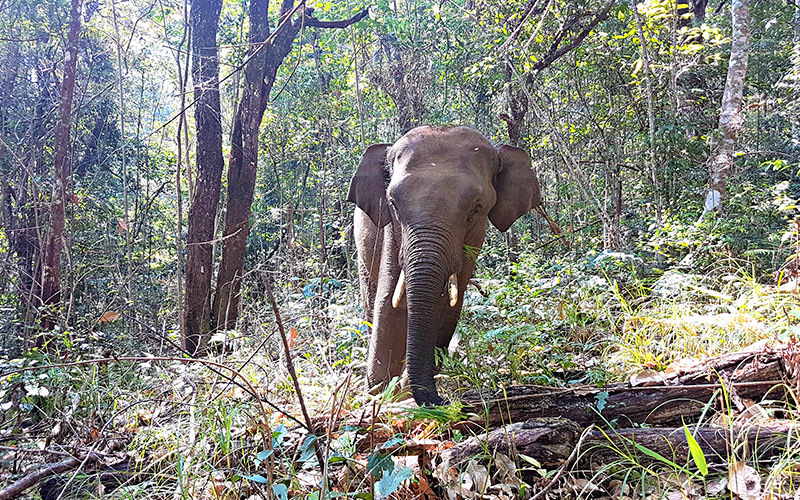 The older elephants have also worked in the logging camps – a practice that ended in 1989 when the Thai government banned all logging in protected areas. Each day we were divided into groups and assigned to different herds, so our hikes were never the same. We saw ourselves hiking through rice paddies and corn fields, forests, and what felt like authentic jungle (with the sound of distant Gibbon calls included). 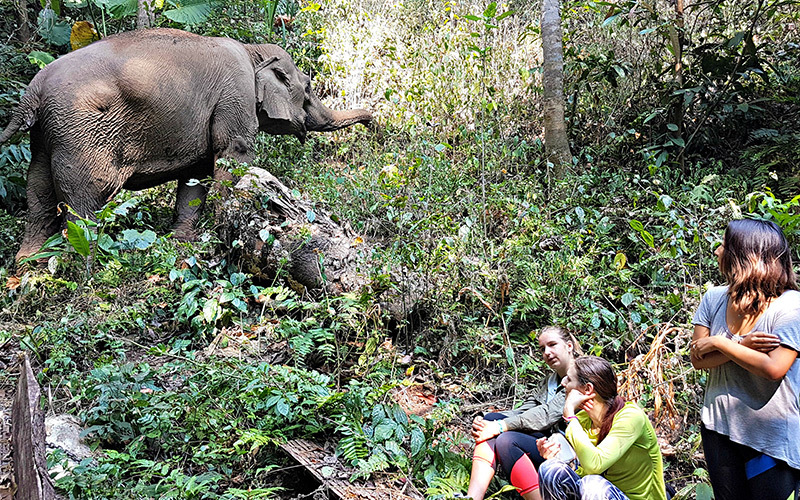 The hikes varied in difficulty, but the GVI team and the mahouts (elephant keepers) were always there to assist you. The mahouts even created walking sticks out of tree branches for some of us. 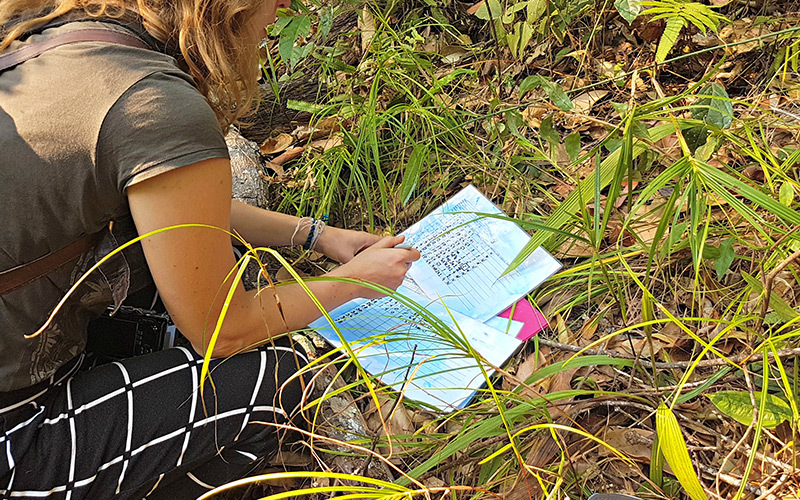 Once the elephants were located we sat and observed, and collected data on their behavior. A major focus of this GVI project is documenting the physical and psychological effects these elephants showcase after years of working in the tourist camps. This is done in order to create a better understanding of how to rehabilitate them and integrate them back into more natural conditions. It was an amazing experience to be able to watch them interact with each other while they gathered, prepped, and ate their own food, and were expected to do nothing but just be their natural selves. After our hike we’d return to Basecamp to eat lunch and prepare for our afternoon. Throughout the week there are opportunities to receive lessons on the local language, Pakinaw. 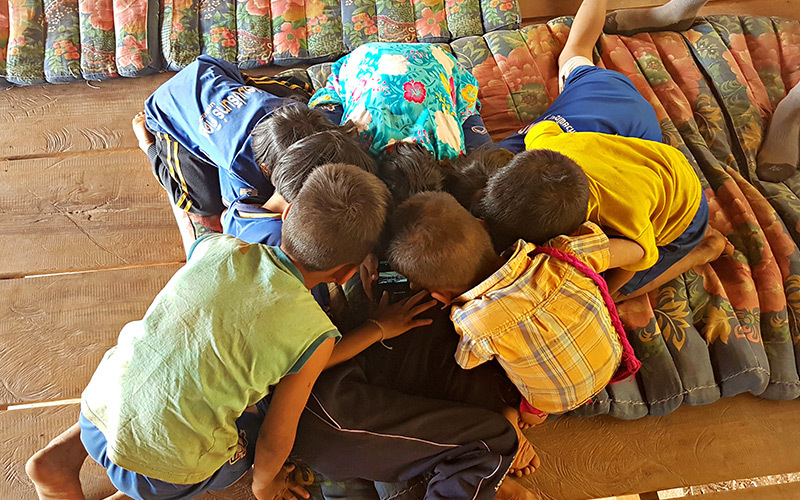 We were also offered the chance to volunteer with the local children at school and nursery; to give English lessons to the mahouts, women in the village, and the monks; and to participate in cooking classes at a few of the home-stays. Every few days we’d also be shown a presentation by a staff member or intern, which usually focused on elephant history and welfare. We always had the chance for personal downtime each day, and enjoyed dinner with our home-stay family each evening. After dinner we’d usually all relax at Basecamp, then go to bed to recoup for the next day. Fridays were usually left open so we could decide on what to do as a group, and weekends were free for us to do as we pleased. This whole experience has taught me a lot about elephant welfare and our responsibility as travelers to only participate in ethical tourism. Knowing that in their recent past these elephants were mistreated, malnourished, and forced to do things unnatural to their behavior, made me incredibly sad. 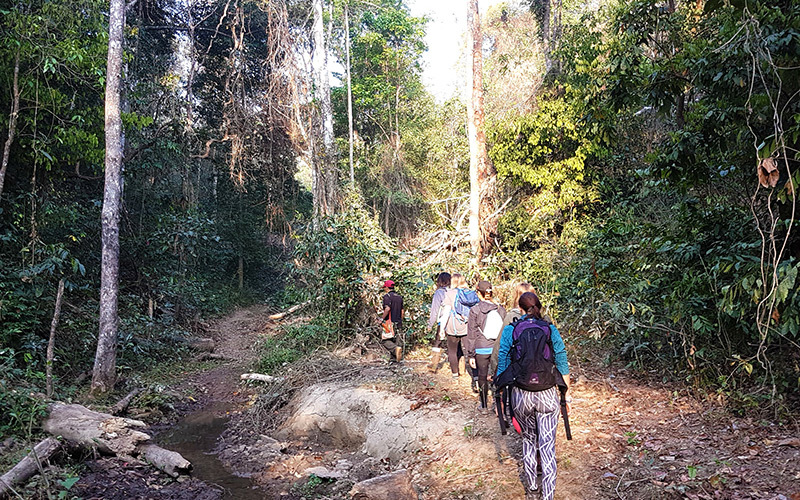 However, getting to have the first-hand experience of seeing them in their natural habitat – a stark contrast to what most tourists to Thailand see – gave me a deeper appreciation for the species and a great respect for the work done by GVI Thailand Chiang Mai. This program is invaluable and offers an experience that I wish everyone could have.